Holiday cottage offering all the amenities of a home. Ideal for a stay in the off season because it is isolated and has a radiator in each room. The rental of this accommodation can be done during the entire opening period of the campsite. Atypical house bioclimatic and ecological. Its wooden frame and straw bales are coated with clay. Equipped with a solar water heater that also feeds the dishwasher. Holiday cottage all the comforts for a successful family holiday in your campsite near Alès. Its wooden construction ensures a particular comfort and a certain benefit for the health. This holiday rental offers all the amenities of a holiday home in your campsite in Saint-jean de Ceyrargues. We chose it because it offers a large bright living room, easy traffic and a shaded terrace. 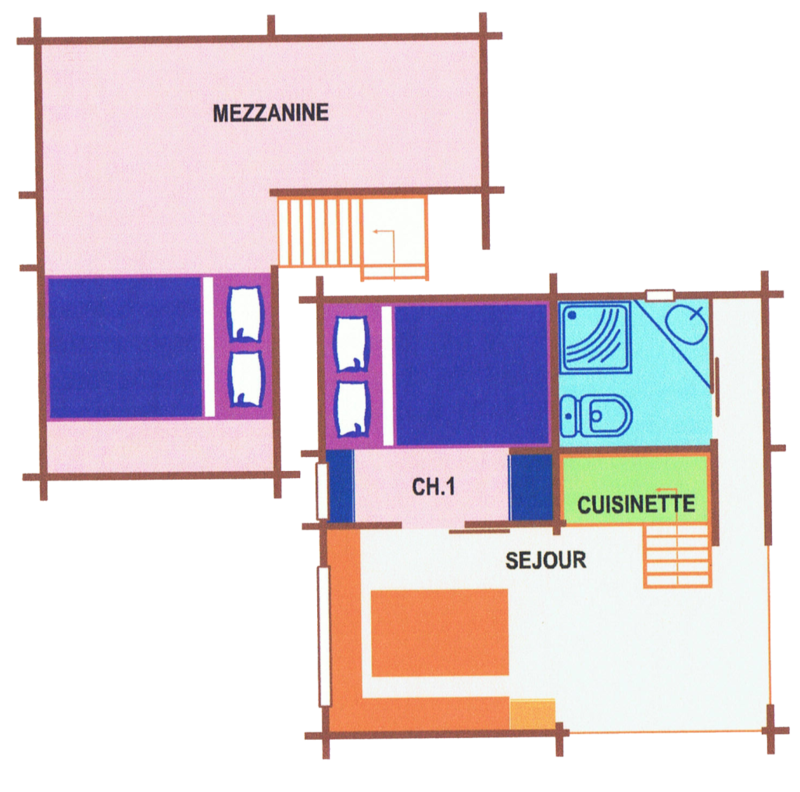 For the relaxation of each, the parents / children’s rooms are distributed on both sides of the rental. 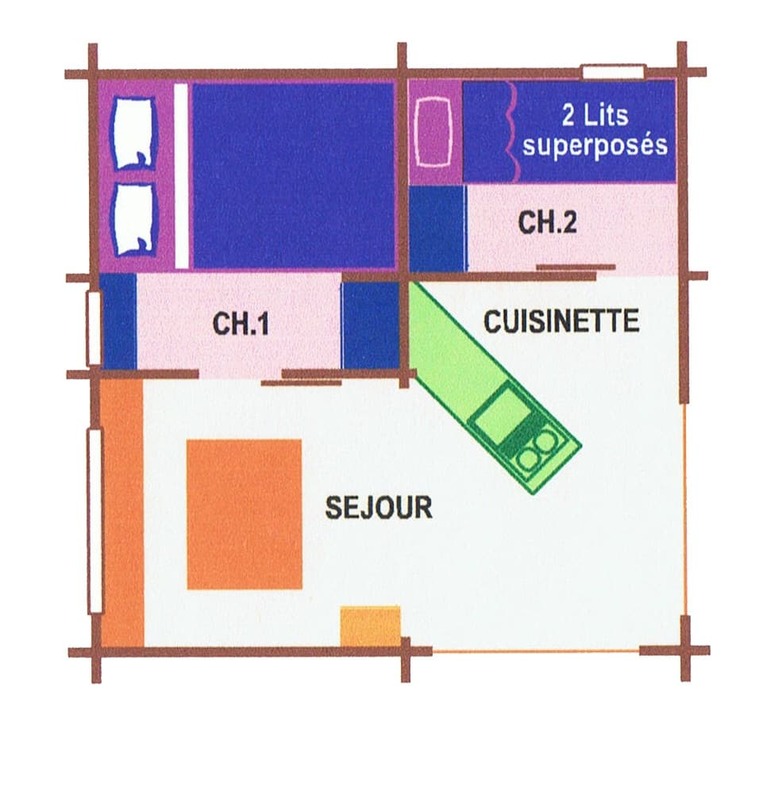 Each of the rooms can be installed, either with 2 beds in 0,80m, or with 1 bed in 1,60m. Ideal for a stay in the off season because it is isolated and has a radiator. Enjoy your vacation in our large pool and paddling pool. Enjoy a real break in the middle of nature and enjoy the view of the Cevennes. During your stay in Gard, you will have the opportunity to go for family outings around the campsite or make excursions to visit cities such as Alès, Uzès or Nîmes with its famous arena. Staying at Les Vistes is also a convivial moment to share at the meeting point of the campsite where the activities take place and where you can share meals with friends. So do not wait any longer, the quality welcome is for us a priority so that your holidays in the Gard are memorable. Holiday house offering all the amenities of a holiday home. Atypical rental built in wood with a mezzanine under canvas. 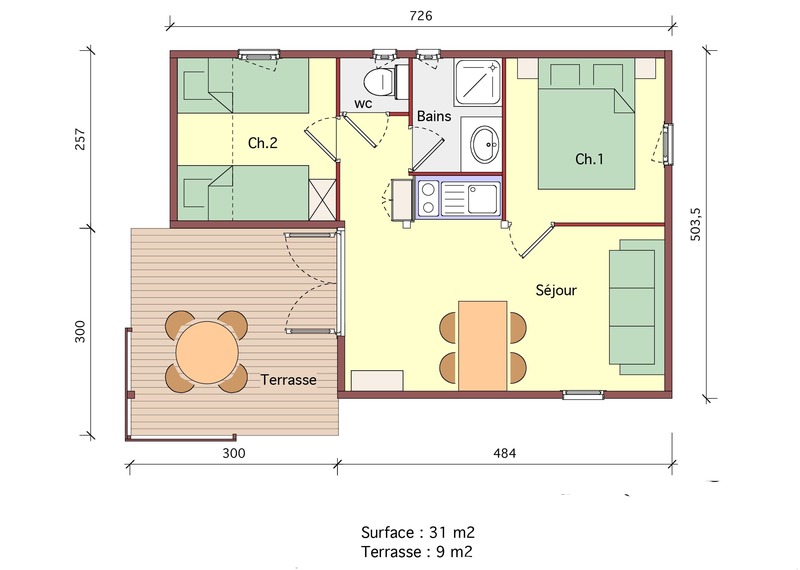 It consists of 2 bedrooms with a 140cm bed. During your holidays in the Gard, you can enjoy the swimming pool and the puddle, you have access to the sports fields for playing volleyball, ping-pong or play a game of petanque. Enjoy your stay to visit the Gard. the campsite is near Alès to the north, Nîmes to the south. Practice canoeing with your family in the Gorges du Gardon. Try climbing (all levels) at the cliffs of Seynes or even Paragliding. Children will be delighted to walk, bike or ride around the campsite to admire the landscapes of the Cevennes. The right compromise between the tent and the mobile home, with all the comforts to spend an authentic holiday for the purists of the campsite. Open its two large doors and you will have the impression that nature is open to you. 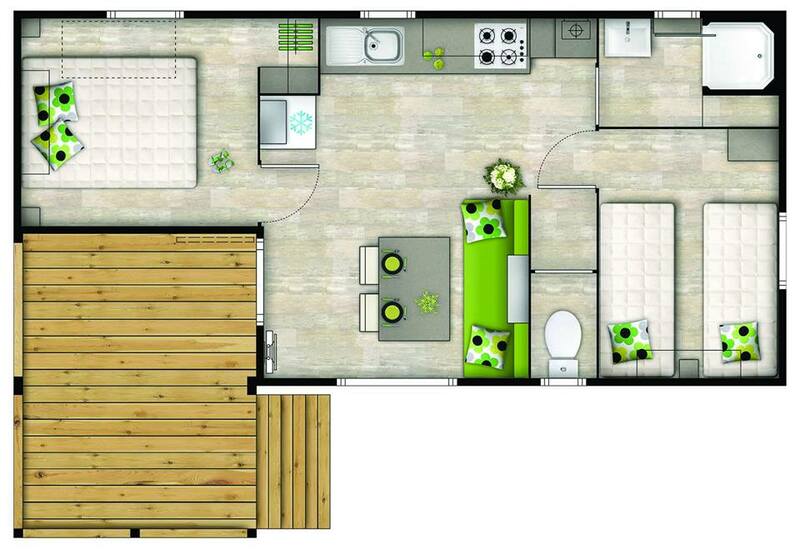 It consists of 2 bedrooms, one with a bed in 1.40m, the other with 2 bunk beds in 0.80m. If you opt for this accommodation, you have access to sanitary blocks for toilets and showers. The right compromise between the caravan and the mobile home, with all the comforts to spend an authentic holiday for the purists of the campsite. On the basis of a mobil-home without toilets whose awning has been refitted in wood and parquet. If you choose this accommodation, you have access to sanitary blocks for toilets, shower and sink.